Obsessed with this dress is an understatement. How freaking fun is the print? 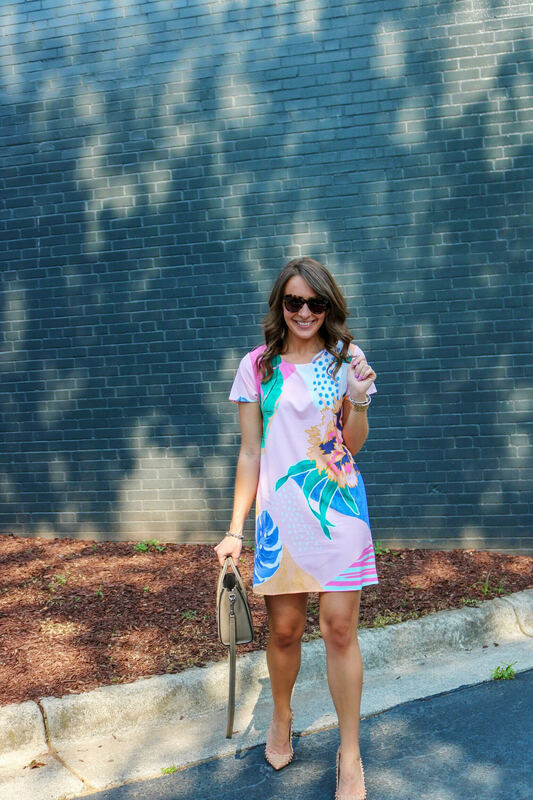 I love a good T shirt dress, so add in a fun print and homegirl is sold. Another blogger posted these Loub dupes and I had to have them. Just as an FYI the color on the bottom isn’t a true Loub red. If you’re looking for an exact designer dupe, search elsewhere. These are good, but not perfect. Lots & lots of you message me about workout wear/ my workout routine. I just started a new workout routine and I’m excited to share it with you guys. So stay tuned, it’s coming. You guys also message me on the reg about what to wear to work. 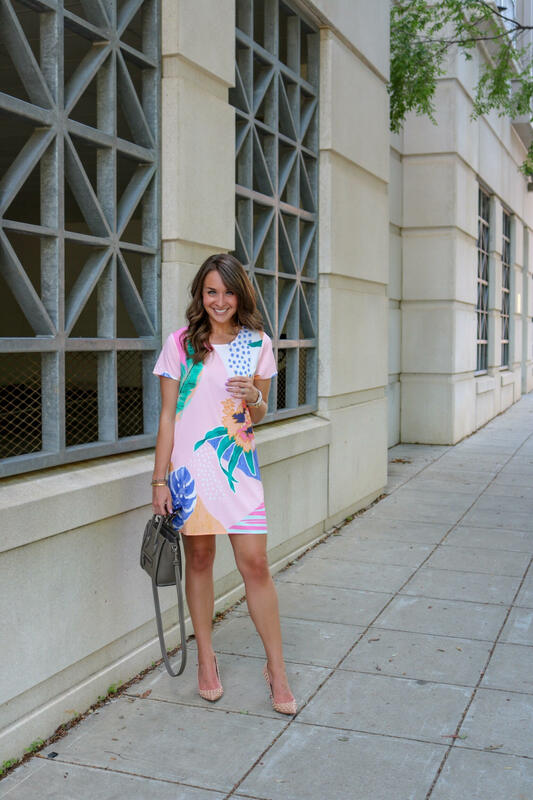 I originally wanted to blog weekly about work wear, and I’ve just dropped the ball. More work wear posts are coming your way.